Mr. Mahesh Shirodkar founded the company in 1987, and heads a team of young and professional people working relentlessly towards serving clients round the clock. We save the time, efforts and money of our clients, allowing them to focus more on enhancing their business further. We focus on providing value to our clients by giving them a very smooth and satisfactory experience. Our work ethic and dynamism gives us the distinction of being a reliable courier company. We believe in convenience to our client and diligence in the processes that we follow. Our most esteemed clients include TATA Motors, TATA Capital, TATA Hitachi and Glenmark Pharmaceuticals. We put our values to practice and it reflects in the quality and efficiency of our work, and in the satisfaction of our clients. Mr. Mahesh Shirodkar is the Founder and Managing Director of Mailit. He epitomizes the entrepreneurial zest with a future-ready approach to every business initiative he undertakes. Like all visionary entrepreneurs, he is a firm decision-maker with a hands-on leadership style. It is said that a journey of a thousand miles begins with a single, significant step. Mr. Shirodkar took that all-important step in 1987 in Mumbai when he founded Mailit, a venture of Shirodkar Cargo Services Pvt. Ltd. Like all his self-made contemporaries, he made a modest beginning in the Mailroom services industry in his quest for excellence. It wasn't smooth sailing for him. But his unwavering passion to make it big saw him embark on a successful entrepreneurial journey starting with a daily wage of just Rs. 30 at Tata Motors in 1980s. 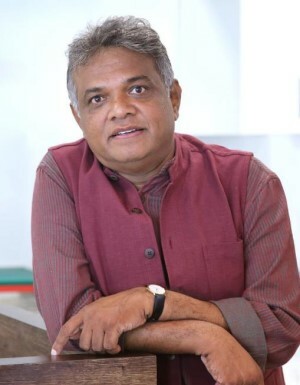 His commitment to excellence saw him rise through the ranks, and soon he found himself managing the entire operation of intra office mail deliveries within the Tata Group of companies. Fuelled by his quest for excellence in offering a comprehensive bouquet of dispatch aggregation and Mailroom service, Mr. Shirodkar announced his arrival in the new millennium by adding an eclectic roster of clientele across India. He succeeded in conquering several challenges along the way with a single-minded focus on the bigger picture. Today, he manages a team of talented and experienced professionals. Going forward, Mailit, under the strong leadership of Mr. Mahesh Shirodkar, is poised to grow at an exceptional pace. He take this opportunity to acknowledge and appreciate the contribution of every team member thus far. And he is looking forward to your continued patronage in taking Mailit to scale newer heights of success without fail. When it comes to Mailit, we never fail to mail it! It's not a promise. It's our guarantee. Unmatched Convenience at Best Price to deliver the full-service innovative dispatch management system to help you save on cost and time in addition to providing unmatched convenience. To deliver Superior Service Experience through our bespoke Mailroom Management services at an affordable price in a quick turnaround time. We are committed to delivering superior service enabled through the deployment of the state-of-the-art technology. We take into account all possible parameters to give you a precise delivery time and cost. We are a cohesive team, which operates efficiently to ensure the order reaches the destination. We constantly communicate with our clients to get their feedback and further improve our service. We ensure that your paperwork is dispatched safely, without compromising on its confidentiality. Anuja Enterprises, owned by Shirodkar Cargo Services, is an authorized service provider of the Indian Post. Established in 2008, the enterprise has been closely working with some of the top companies across various sectors such as banking, non-banking finance corporations, insurance, printers, etc. in Mumbai and Pune. 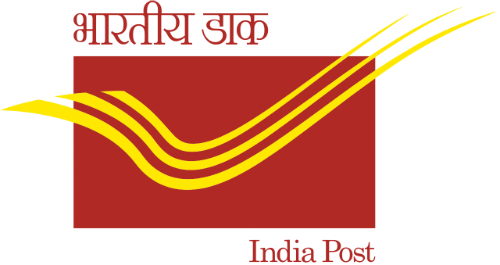 We ensure the last mile delivery of shipments through the vast network of the Indian Post. This is supported by an efficient data-management system, which provides an exact status of the documents being shipped. Presently, we own three state-of-the-art franking machines, three vehicles and a team of 15 trained professions. At Anuja Enterprises, we ensure that all the necessary labour norms and compliances are strictly followed.